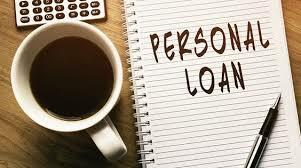 There are times when a personal loan can act as the last viable option for your financial dilemma. This can be down to a few several factors. We live in unpredictable economic times and you may find yourself faced with a situation that demands an extra hand to help offset a certain financial hurdle. A personal loan therefore comes in handy and allows you to conveniently manage your finances adequately, of course with responsible expenditure. Society has its own perception of the act of borrowing money, more commonly a negative reception towards it. Of course, too many debts can hurt your credit score, but there are also important benefits of getting a personal loan during needy circumstances. Hence, if debt is managed properly, it can be the difference between a good or crumbling credit score, and can also help you acquire some of the things you want in life. So what are the reasons that deem a loan necessary? A surprise medical emergency can get anyone off-guard and cause distress even in the books of the most meticulous planner. It’s not all bad news however, considering recent shifts in the way many big credit bureaus deal with cases of medical bills whereby you get a maximum range of up to 180 days to offset these kind of bills before they can be included in your final credit report. This buys you valuable time to apply and receive a personal loan in the event that a medical bill surpasses your budget and a settlement agreement of a different kind between yourself and the health provider fails. In such a situation, consider a loan with low interest and a reasonable payback period. Making improvements to your home is not the worst idea ever. If you have great ideas in mind that can add value to your home, then a personal loan can be an ideal source of finance without tampering with your hard earned equity. Personal loan websites like avant.com and PersonalLoans.com are a great place to get loans at low interest rates which allows you to avoid an expensive build up on your credit score. Improving your home in all the right areas can offer a great return on investment. A personal loan can help you start a part time business in the comfort of your home. Many people often convert their regular hobbies into part-time businesses in the comfort of home and use it as an extra source of income. If you have a passion for something say baking, it can easily be converted into a side business and profits can be used to pay off a loan quicker just in time to enjoy 100% of the business profit. If it is within your future plans to apply for a larger financial loan to boost your business for the next few years, you can work towards this by acquiring then offsetting smaller, short term loans. If you run a small business and you don’t have a strong credit score, you might face limitations when trying to apply for larger loans. Hence, borrowing and paying smaller loans within their time limit can work great for your credit history for future reference. This can also build trust between you and a specific lender when the need to apply for a higher amount arises. This should not become a careless habit however, as borrowing outside your means becomes another problem within your financial structure. Regardless of size of the personal loan, practice discipline and avoid any delays and late payments to ensure your chances of qualifying for more. You should not apply for loans just for the sake of it. Where to find your loan? Finding a perfect loan giver is not an easy task given the many options available to you. Also, some of the credibility tests you may have to pass to get a loan from some loan givers may not be so applicable to your current situation. Every lender looks for different characteristics in their customers, and you may get denied for the most minor factors like area of residence and occupation. In this case, find a company that has your best interests at hand. Companies like avant.com and PersonalLoans.com offer the most innovative and customer friendly experiences in the market. Avant has an easy application process and a great customer based approach to make you feel at home. Having satisfied their credentials, you can have your loan as soon as the next day. Avant offer a market friendly fixed rate of between $1,000 to $35,000. PersonalLoans.com on the other hand focuses on every customer and conveniently matches them with loans that are right for them. Just like Avant, they have a straightforward application process and you can submit your online request for any loan reason regardless of credit type. They also offer a rate of $500-$35000. Those are just two of convenient options you can look into the next time you need a personal loan. Conclusion Whether you are looking for a loan to offset your medical bills, start a business, pay a nagging debt or simply take your family out on vacation, a low interest loan is a reliable option to backup your financial needs.